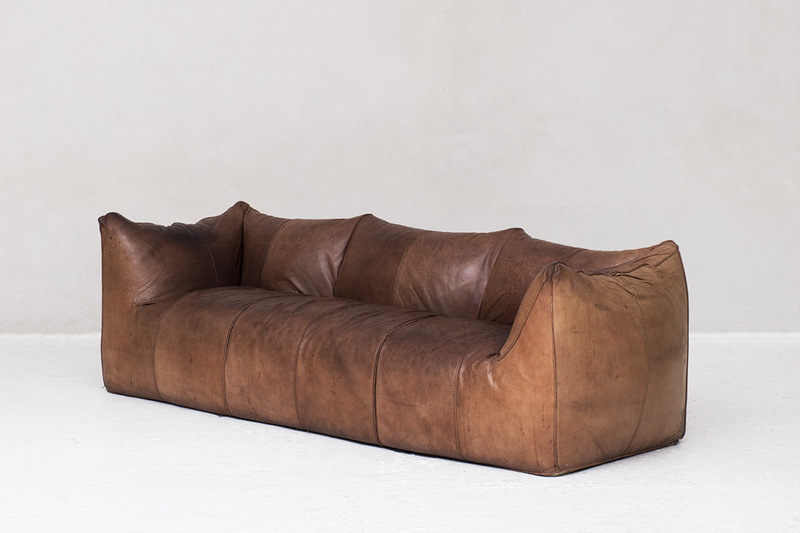 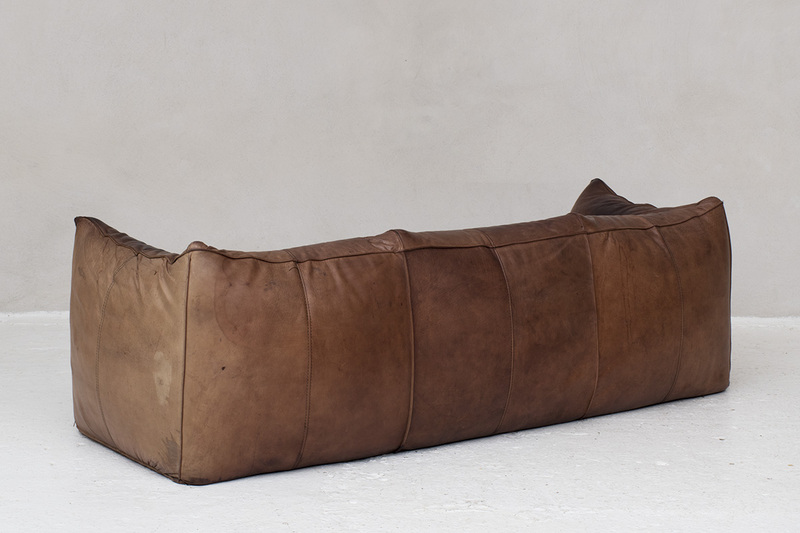 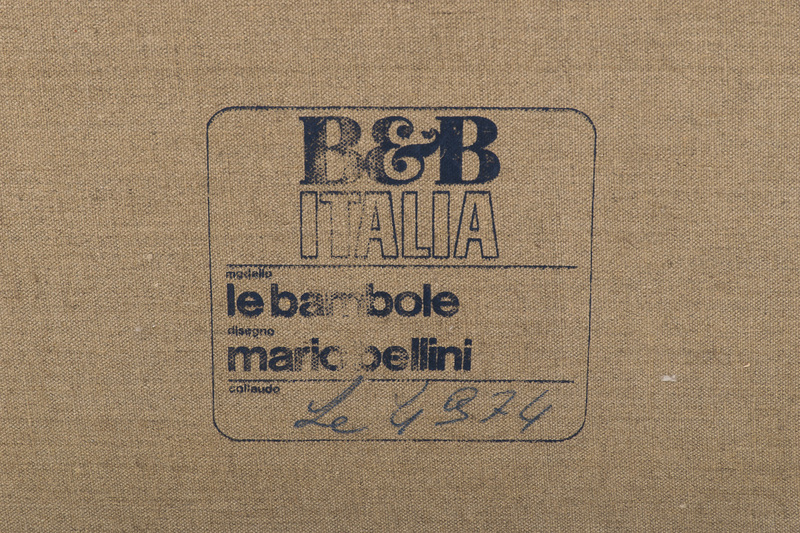 Iconic sofa ‘Le Bambole’ designed by Mario Bellini and manufactured by B&B Italia between 1970 and 1972. 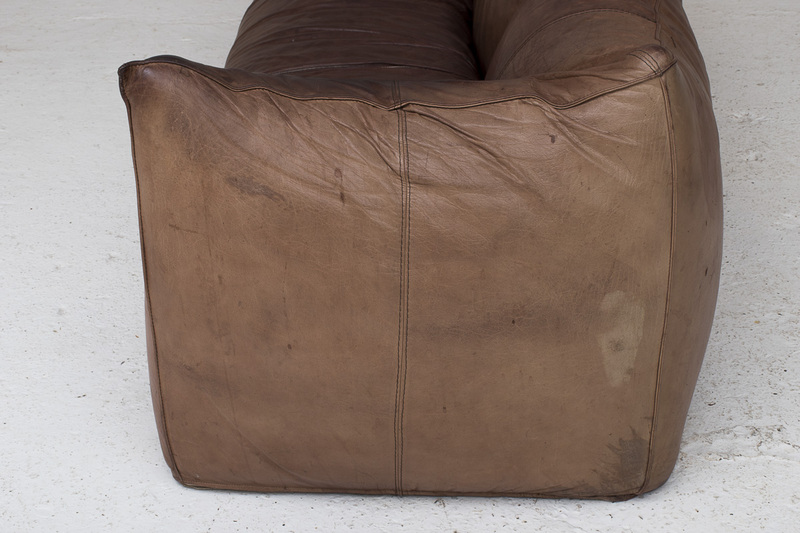 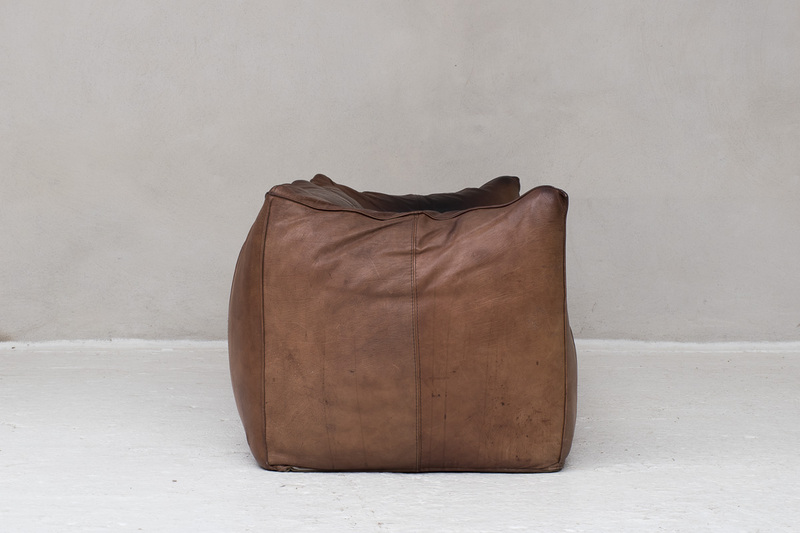 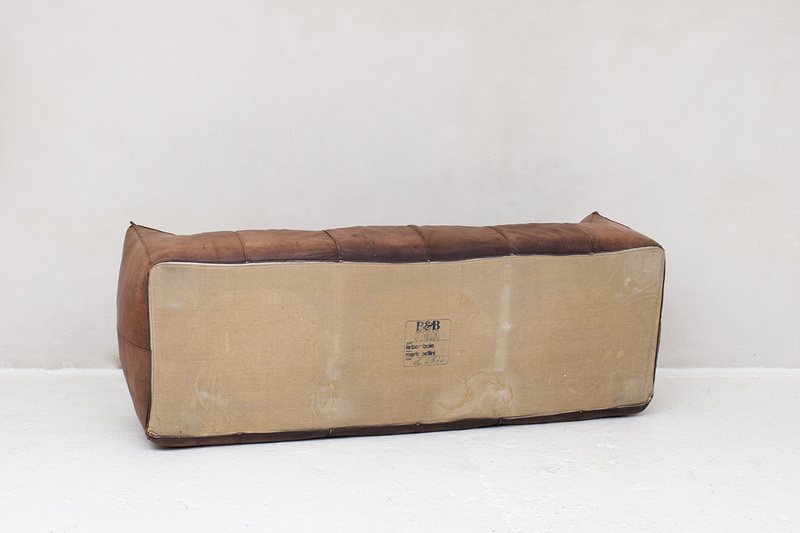 The starting point of this timeless sofa was a shopping bag that contained formless material that was shaped when the bag was set on the ground and squashed. 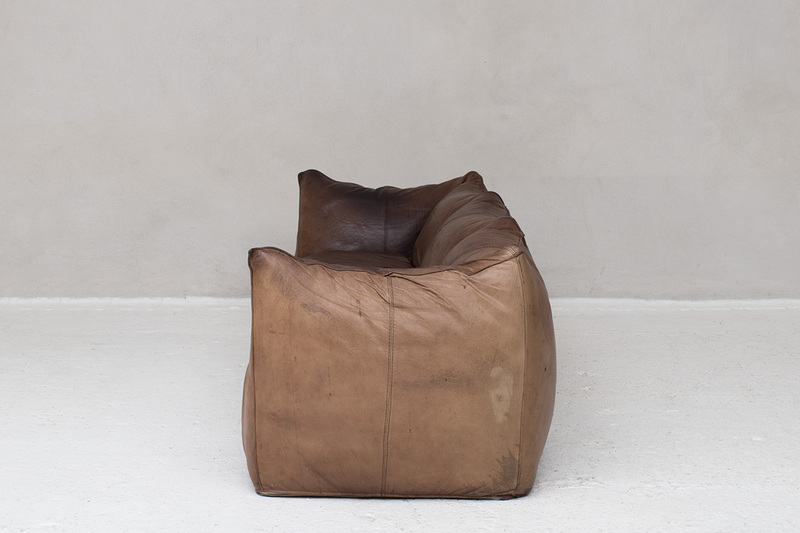 This is very recognizable in the design. 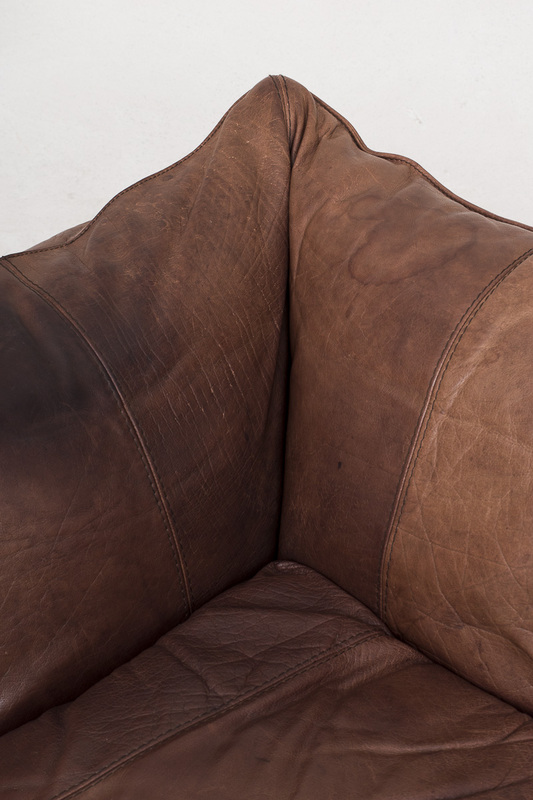 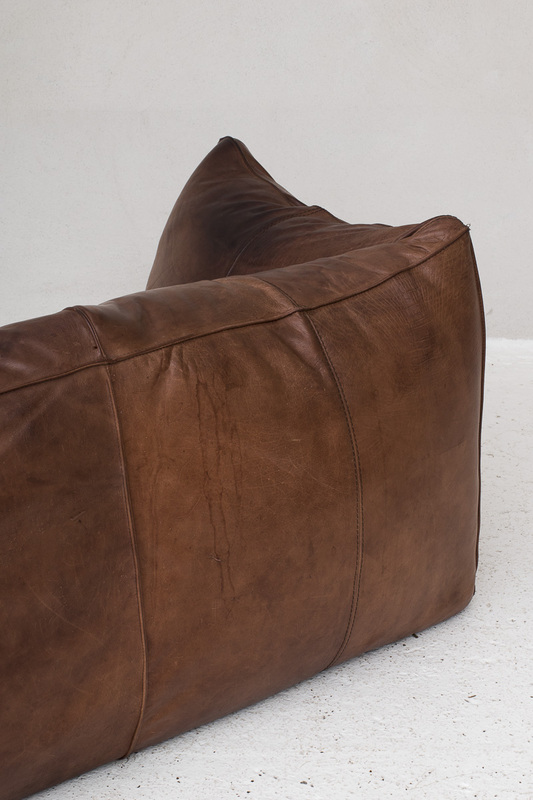 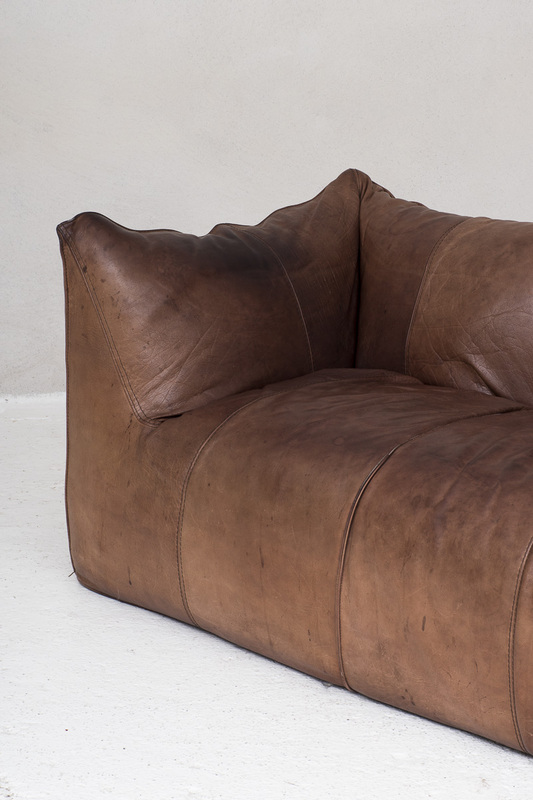 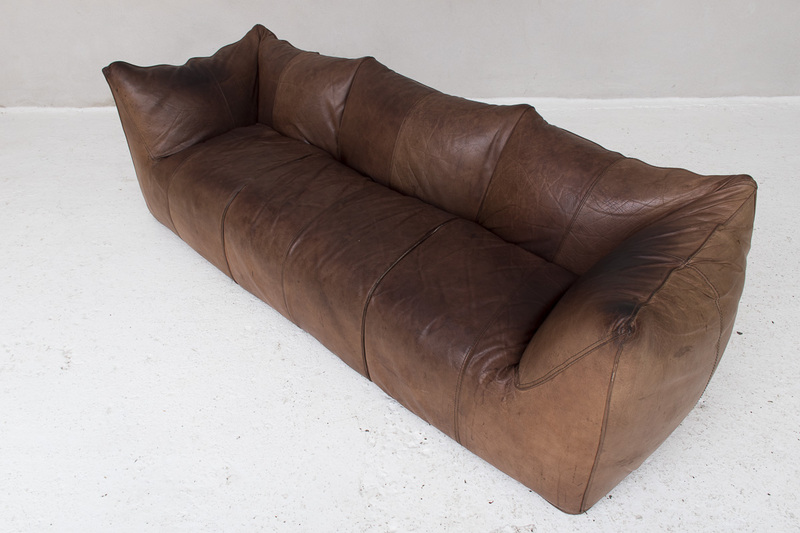 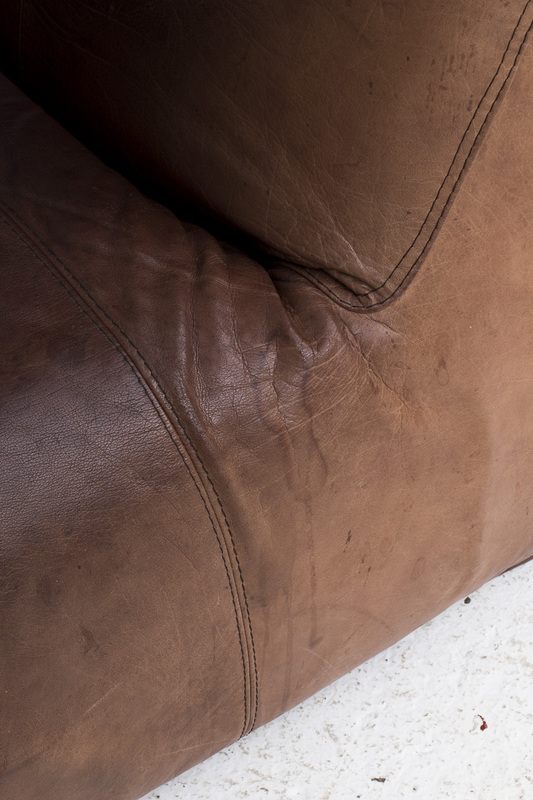 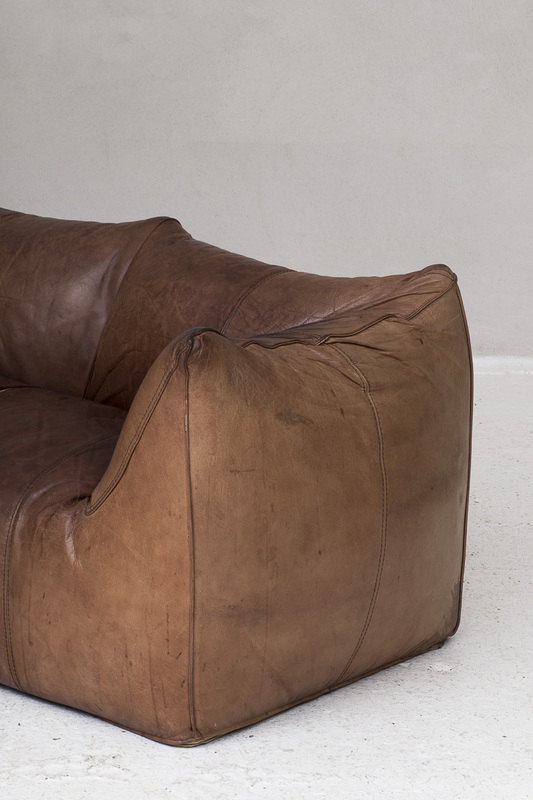 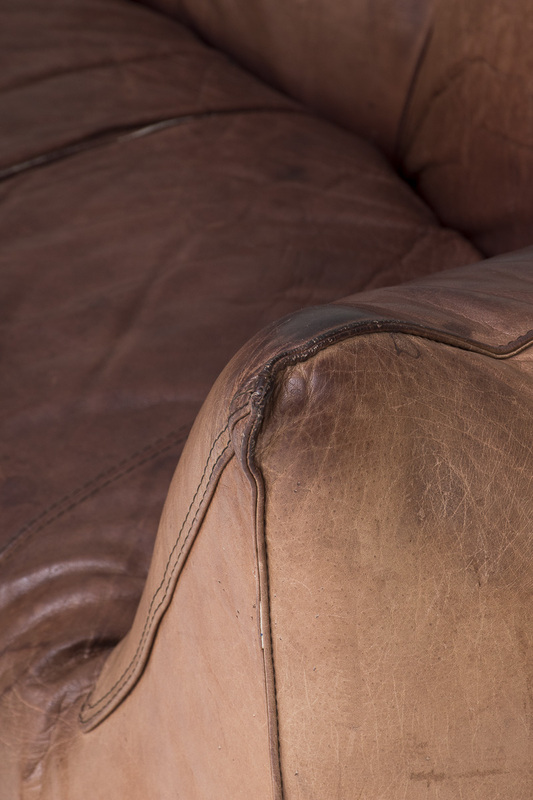 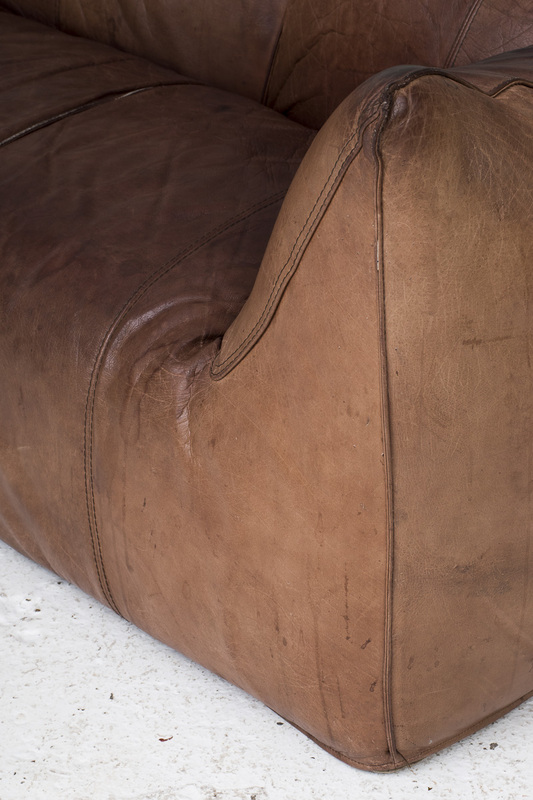 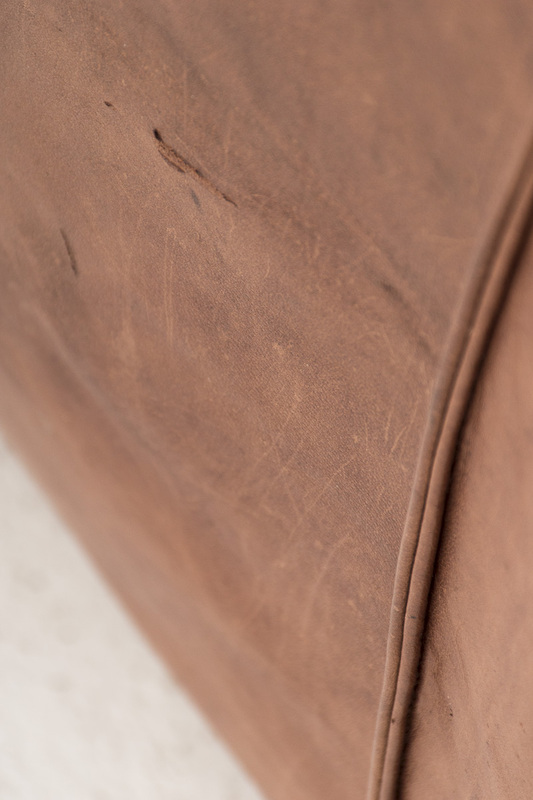 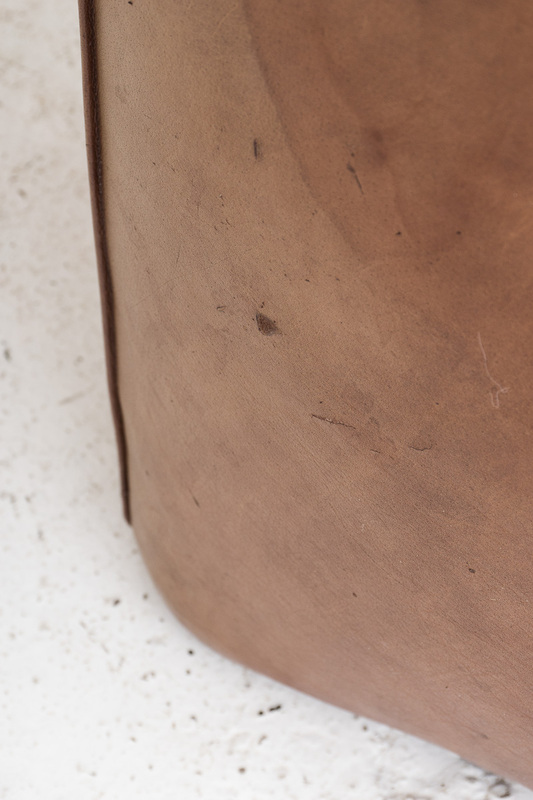 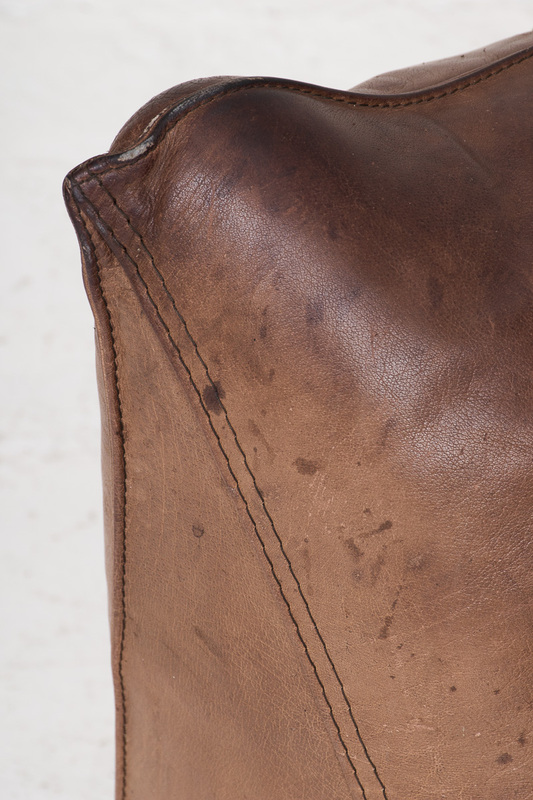 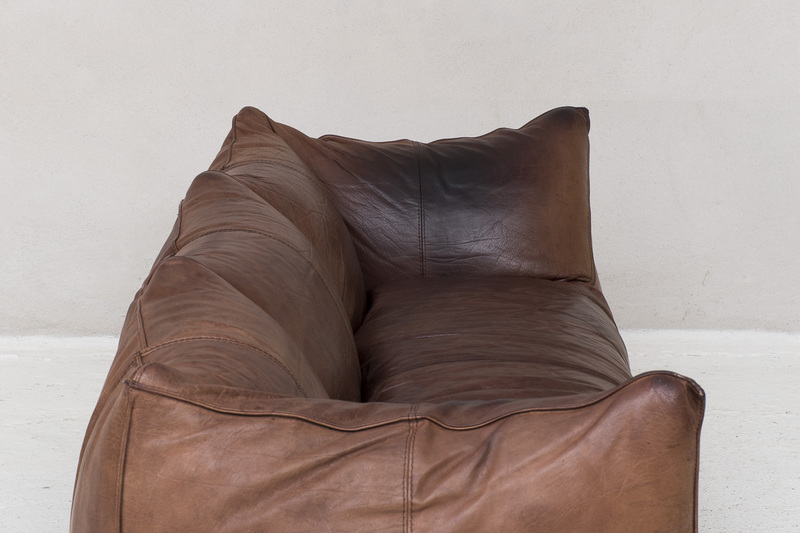 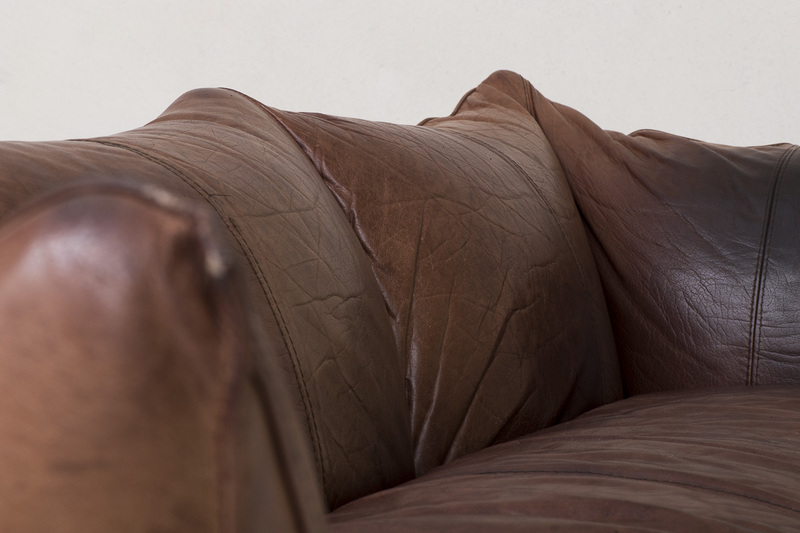 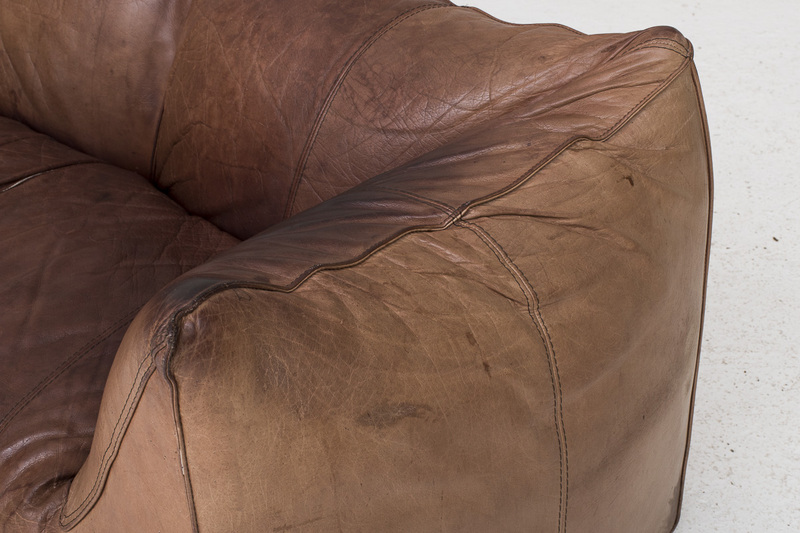 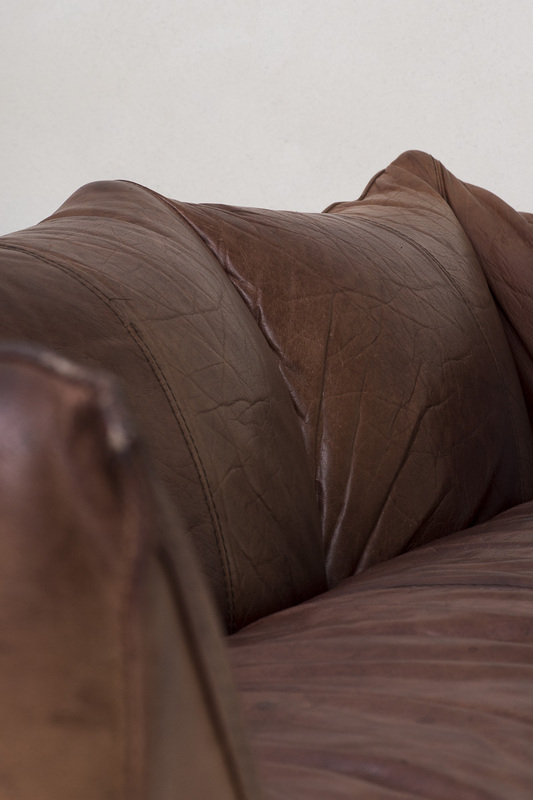 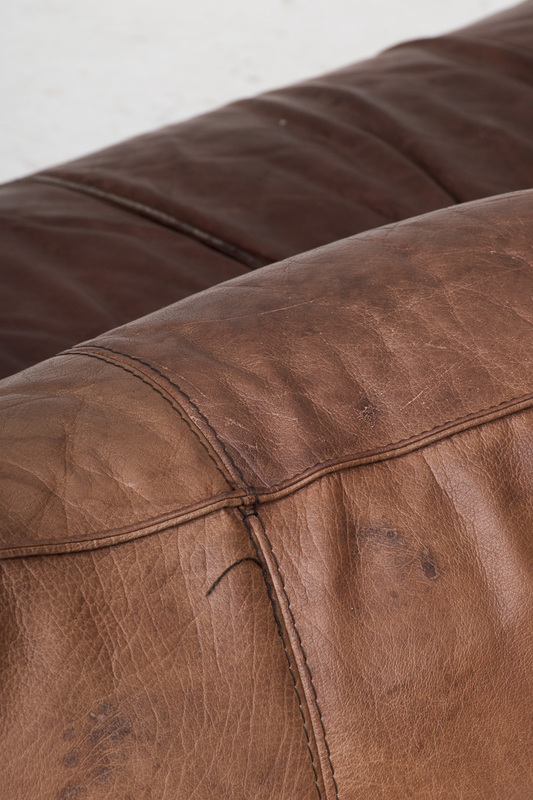 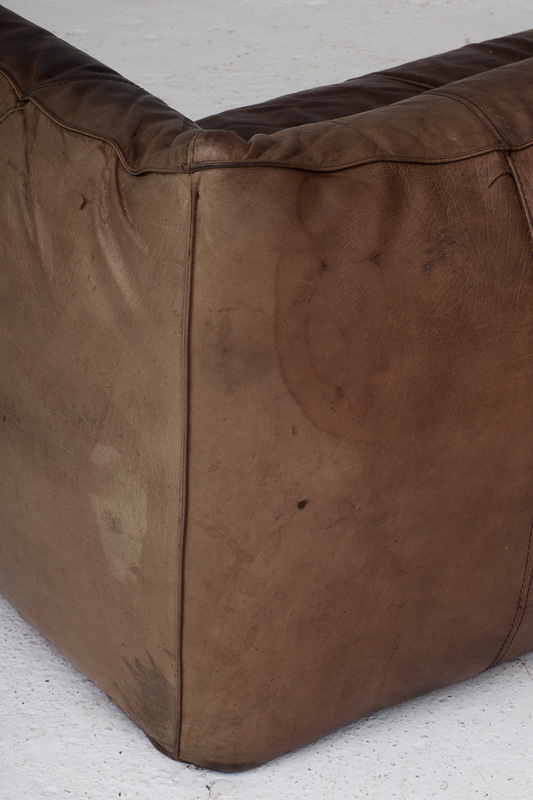 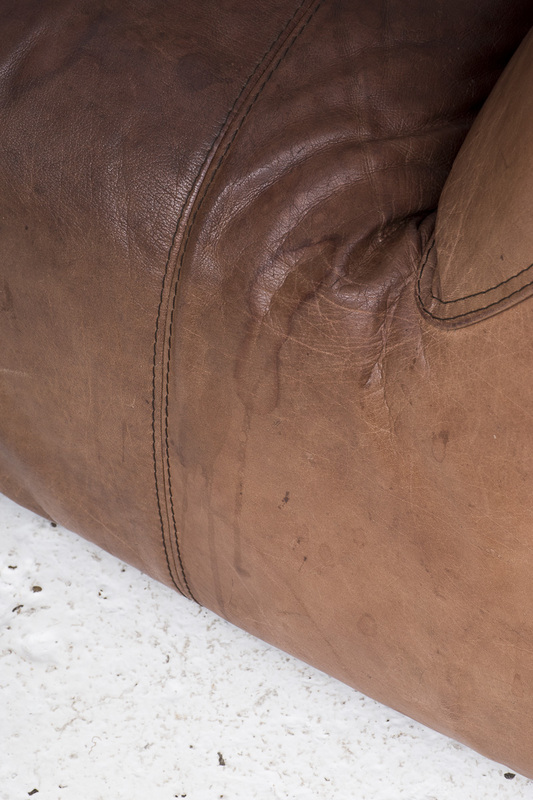 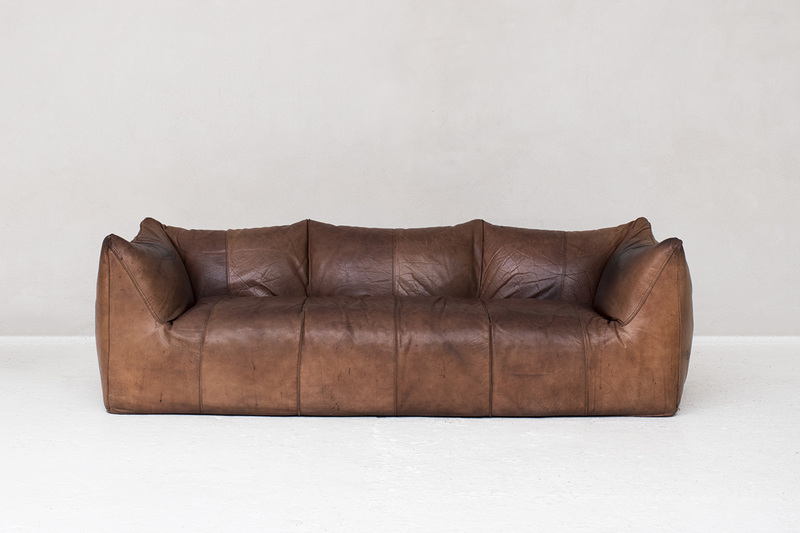 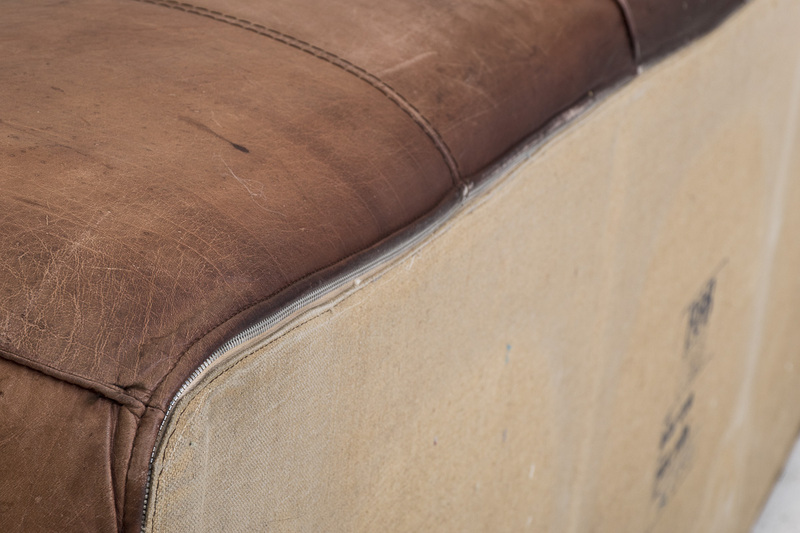 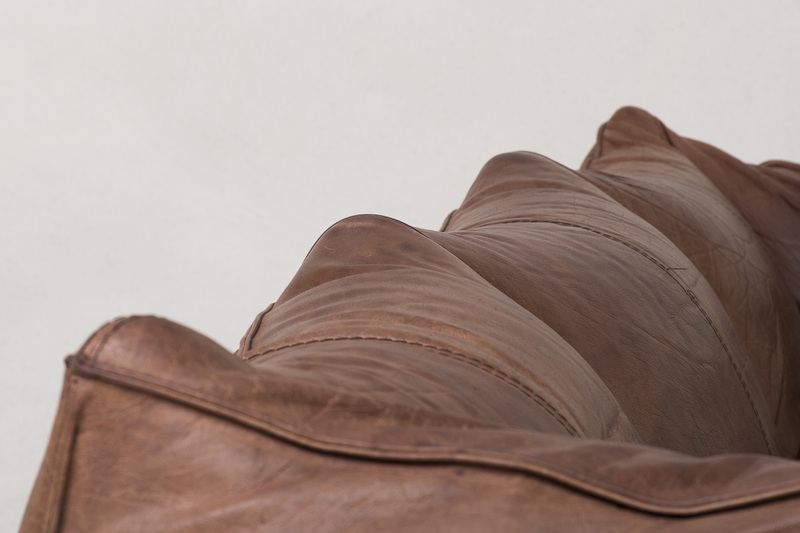 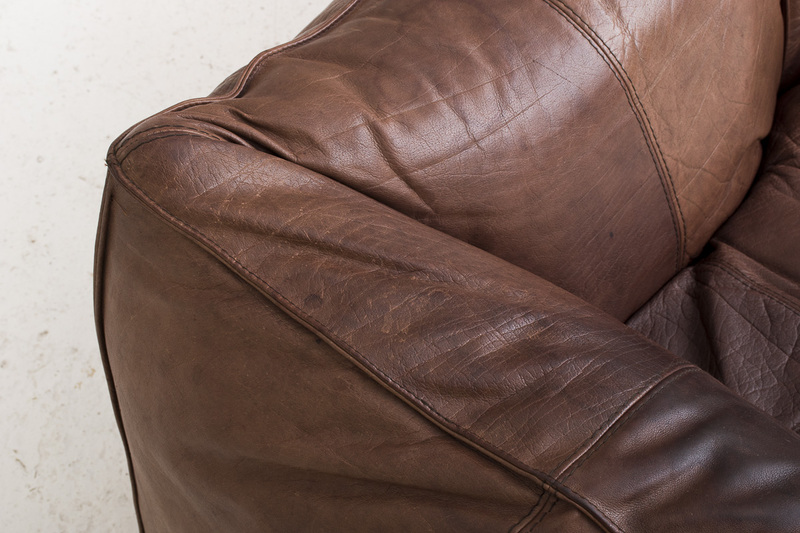 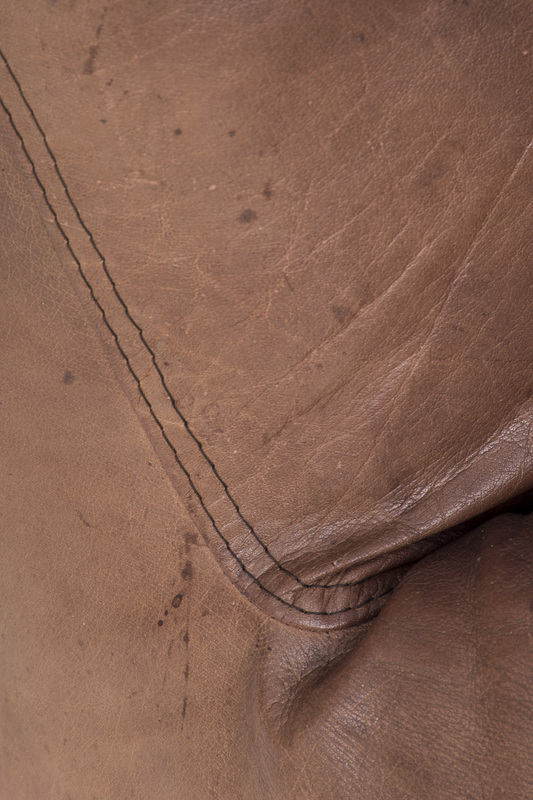 Original upholstery in cognac full grain leather. 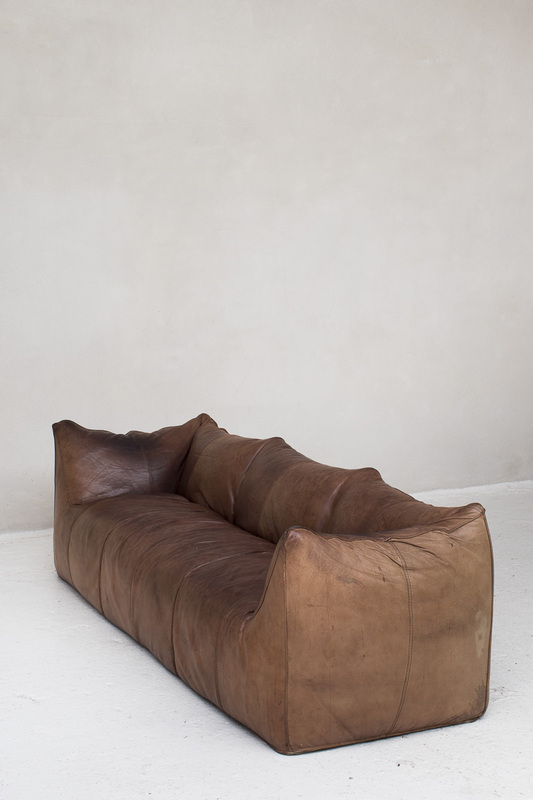 Very soft cushioning. 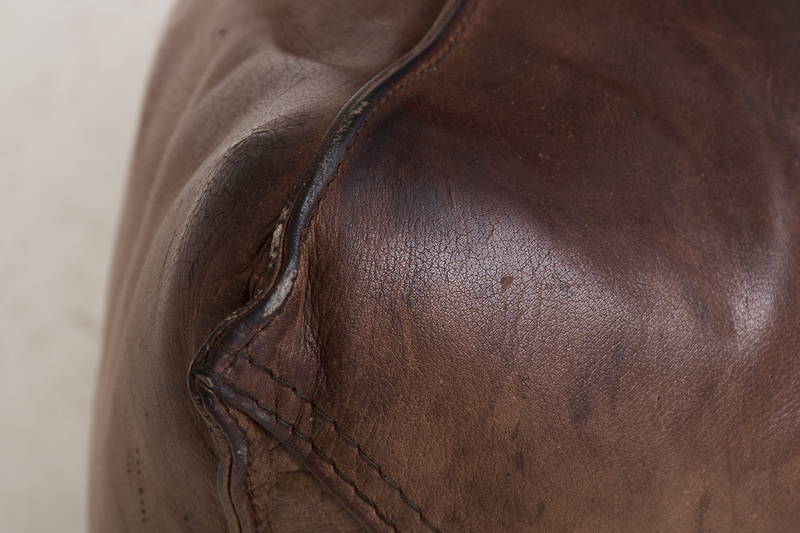 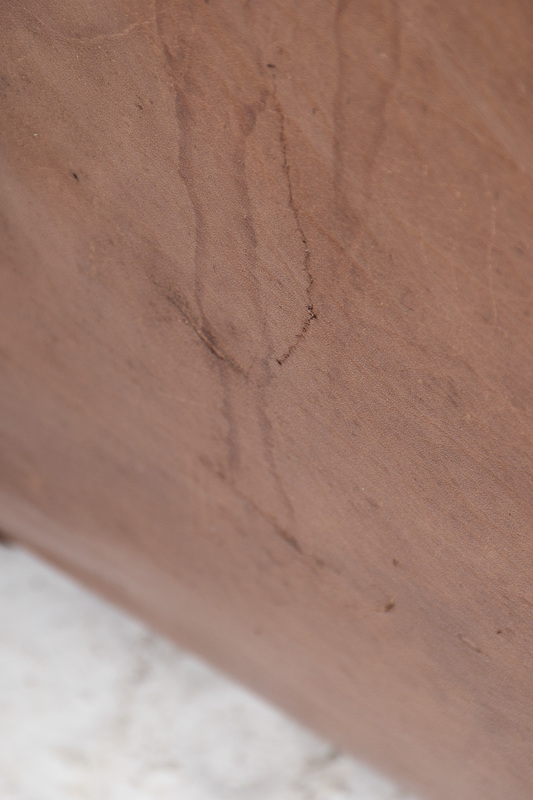 Some slight wear and tear from a previous life.